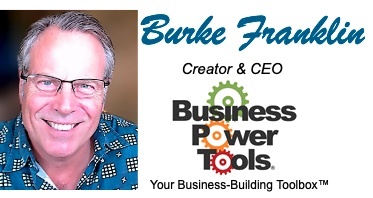 Subscribe to the business development toolsets you need now… Add more as you grow! Work together on their company using these tools and collaborative "workbench"
Insert your logo and show thw dashboard to win new clients! Imagine having an organized set of docs readily available for review when you're ready, and when you are, you'll want investors or buyers to act quickly! Now you'll be ready! Now your entire team can get in on the action! Imagine having their help building your company -- People support what they help create! This is how to build a strong company from the inside out. Regardless of which subscription you choose, adding another team member is just $1 / mo each. Business Plan or Everything, adding another team member is just $1 / mo each. We'll Save All Your Work! Our proven BizPlanBuilder business planning software updated and transformed into a collaborative web-app perfect for expansion or startup funding as well as strategic planning. Includes everything you see under the Business Plan tab on the dashboard. Includes everything you see under the Finance tab on the dashboard. We include the original BizPlanBuilder financial models evolved since 1990! Thoroughly updated in 2017. These are Excel spreadsheets uploaded to our online system. They behave a lot like Excel and can be easily customized to fit your unique business model. Collaborate with your team online. Export and download them to Excel. Includes everything you see under the Management tab on the dashboard. Including ongoing updates! advisors for just $1 / mo each! The sooner your start, the closer you are to getting the funding you want! Pay for 10 months, get 2 months free! Includes everything you see under the Marketing tab on the dashboard. They’re great for understanding deals, prioritizing strategies, and making good decisions! Among them you’ll find the methods and formulas, the words and advice to help you target your customers, analyze your competition, determine the future value of customers, prioritize and budget product launches, even evaluate new hires! Includes everything you see under the PR & Media tab on the dashboard. Includes everything you see under the Sales tab on the dashboard. Covers Just About Everything - Every State This is our proven Employee Manual Builder software updated and transformed into a web-app! Our policies and preocedures have evolved since 1993. In addition to being legal, ethical and compliant, they are also very entrepreneurial to help you build the strongest company possible! These sample job descriptions enable you to quickly and clearly define your expectations, both for employees as well as independent contractors. In addition to most job descriptions, we include space for Vision, Mission, and Priorities -- Important to people who believe in your company purpose! Covers 161+ Safe Work Practices - all documented and editable online. Print out your manual in Word or [best practice] provide online access to your employees to assure awareness of up-to-date practices and procedures. If you are ever going to be able to take a vacation with a clear conscience, your people need to be properly trained on what to do, backed with complete documentation easily available to them -- making it unecessary to always need you! Includes HR Contracts, Correspondence (offer letters), Progressive Discipline worksheets and notices, etc. Are these more than just digitized documents? With Business Power Tools, you get access to the most flexible, best-selling business planning and management templates available. Remember, we’re all about providing you with actual content you can use — the blank pages and empty boxes are actually filled in with consciously, professionally scripted text giving you the head-start you need for customizing them to fit your needs. Now. You also get access to valuable extras that help you grow your business faster. Add your whole team for just $1 / mo each! Just go to your Account tab and you’ll see all your options. It’s easy to add users or readers — input their email address and select which tabs they have read/write or read-only access to. Bullet-proof security is designed around the entire subscription so you and your team can use everything we offer. Additional team members are still only $1 each / mo, no matter if you subscribe to one, two, or all three sections. You just pay monthly or annually (your choice), with no commitment or contract to sign. You can cancel / suspend any time. (We’ll save your work.) Once you cancel / suspend your plan, you will not be charged on the next billing cycle. For details, click here. Keep your subscription, keep your low rate! Prices go up… But not for you if you maintain your subscription! Keep your subscription up-to-date and, no matter how high prices may go in the future, your subscription investment will always remain “Grandfathered” in at this low rate. Safari, two latest releases only (Mac only). For best results, use Business Power Tools on your desktop or laptop. Test-drive Business Power Tools for 60 days, and if you aren’t blown away with the depth and breadth of content and direction, just give us a call or send us an email and we’ll credit your account so fast it’ll make your head spin! We’re here to support your success in every way possible. What’s most important is to help you build your company. And do it right! “You too can make a zillion dollars overnight, with no risk, no effort…? Really?!? As much as we’d like to believe in “get-rich-quick” programs, they rarely, if ever work out. (We’ve all tried a few…) Only mindful and diligent action — adding value and serving others pays off. Our programs are intended to help you successfully build your business and to make a difference in the world. We can not and do not make any guarantees about your ability to get results or earn any money with our ideas, information, tools or strategies. Hate saying that, but it’s just the way it is. We don’t know you and, besides, your results in life are up to you. Yes? We just want to help by giving great content, direction and strategies that move you forward. Nothing on this page or any of our websites is a promise or guarantee of results or future earnings, and we do not offer any accounting, legal, medical, psychological, tax or other professional advice. Any financial numbers referenced here, or on any of our sites, are simply estimates, examples or projections, and should not be considered exact, actual or as a promise of potential earnings. All numbers are illustrative only. Anyway, all of our terms, privacy policies and disclaimers for this program and website can be accessed via the link above. It’s all the regular legal mumbo jumbo, but we feel transparency is important and we hold ourselves (and you) to a high standard of integrity. Thank you for stopping by and subscribing to the tools you need. Until next time, live mindfully, love consciously, and make a difference every day. Who is Business Power Tools? It’s the content that counts! What’s the difference between Cloud and Server options? With Business Power Tools, we host and setup your Business Power Tools site in the cloud for you. This is generally the best option for teams who want to get started quickly and easily. What happens to my projects if I cancel my account? No worries. You can easily take your plan with you if you go. Remember to export your plans, handbooks and contracts to Microsoft Word before you log-out for the last time. We’ll miss you, but if you gotta go, you gotta go. We get it. It's all of our content from 30 years of business apps and experience remastered into a seamless online collaborative dashboard. To Bring this Deal Back, Refresh the Page!